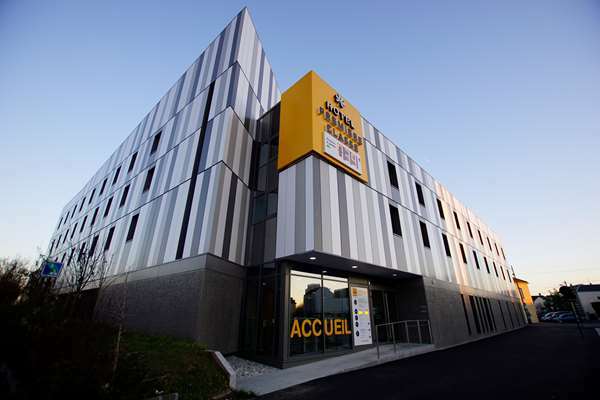 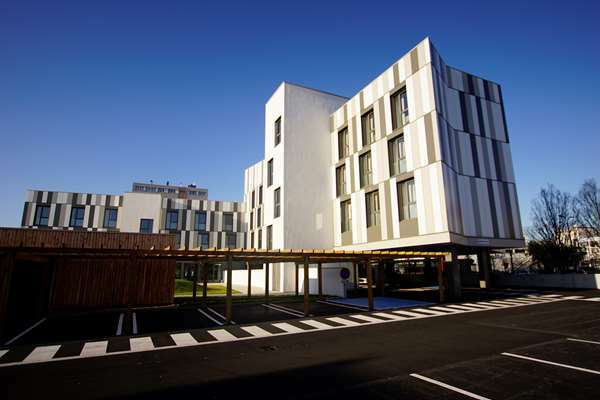 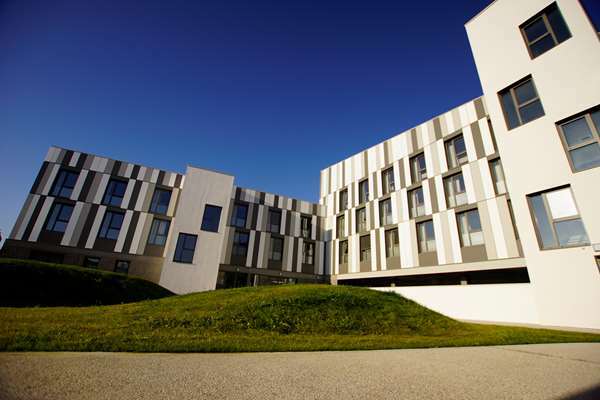 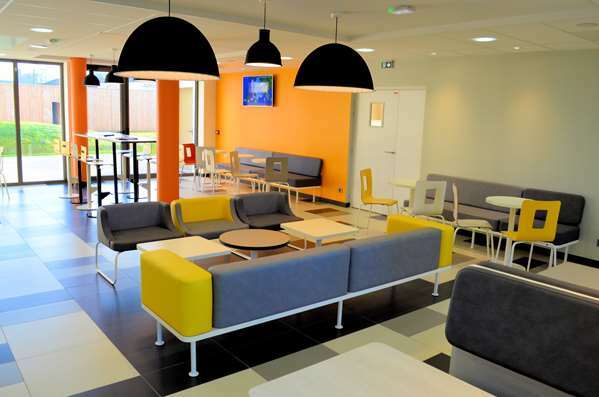 Located close to the Le Havre SNCF train station(15 minute walk), and just under 2 miles from downtown Le Havre, your hotel and its new generation ecological building that has applied for the "PassivHaus" label, welcomes you at the entrance to Le Havre, in the heart of Normandy. 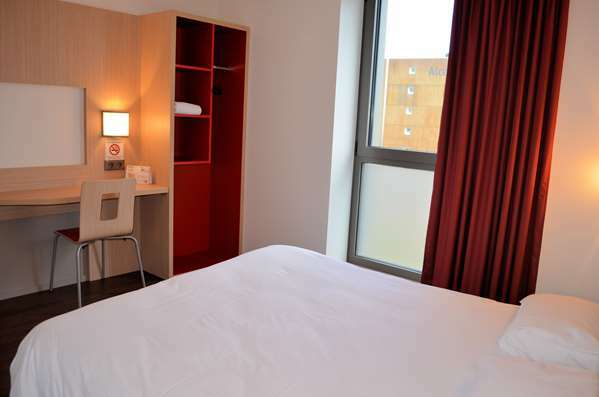 To get to the hotel, take highways A13 and A29. 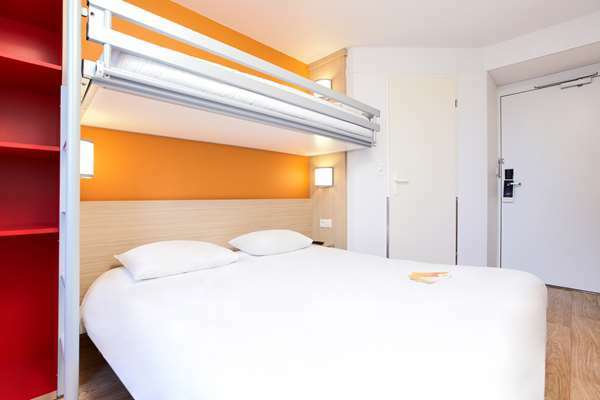 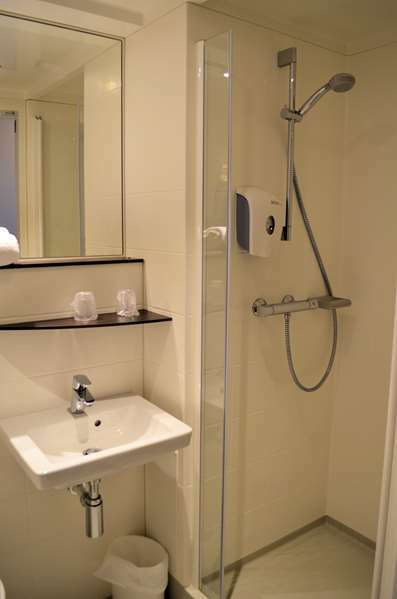 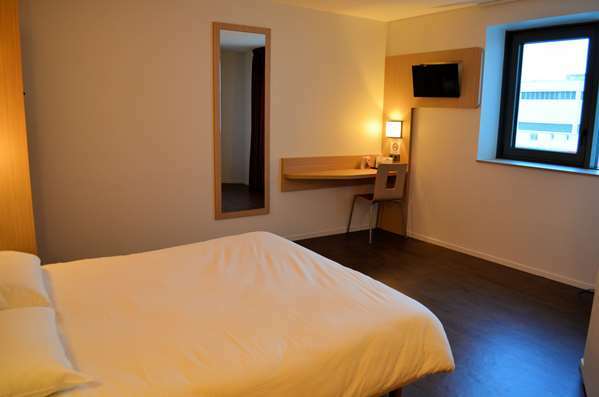 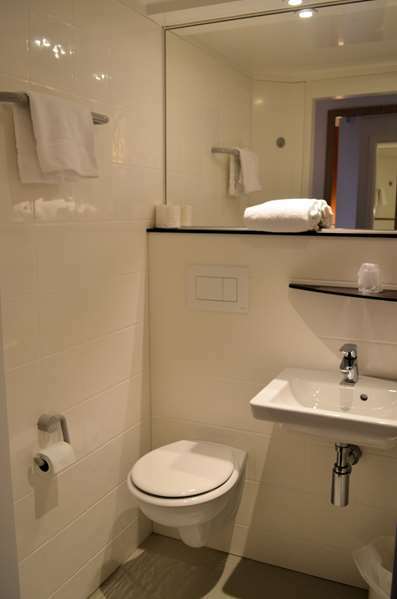 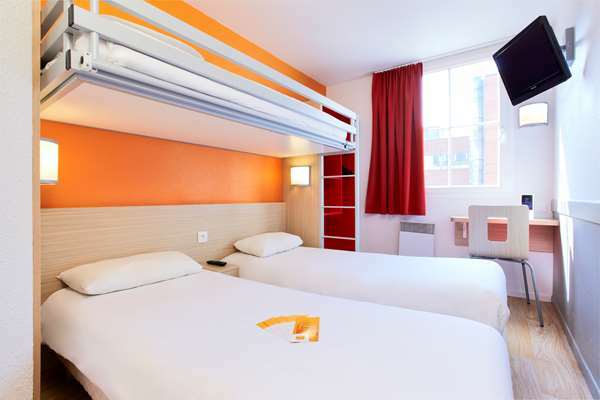 Accessible 24 hours a day, and with a free enclosed parking lot with surveillance, we offer comfortable rooms all feature a TV with Canal+, CanalSat and beIN Sport channels, free Wi-Fi, and a private shower cubicle washroom. 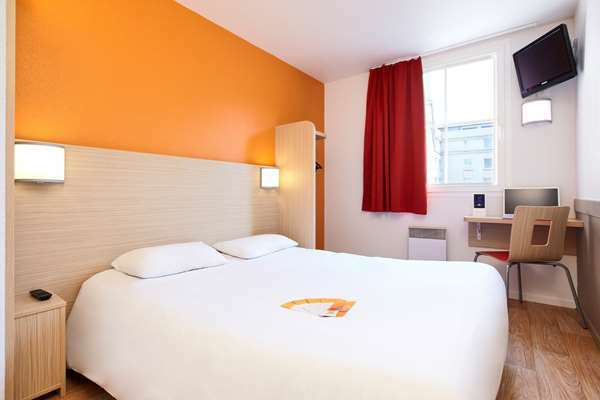 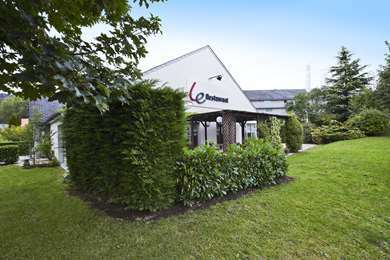 This is a strategic place for business travelers to stop, since the Convention Center, the Parc des Expositions and the Docks Vauban shopping center are just about a 15 minute walk away, while the port activity and logistics center are just 1.5 miles away. 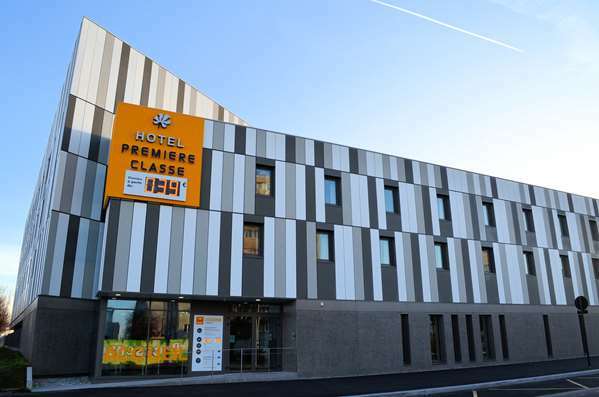 For sports fans, Océane stadium is about 1.5 miles from the hotel. 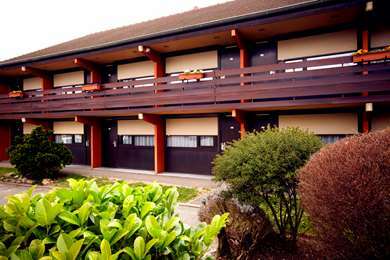 Finally, our hotel is also an ideal place to stay while exploring the region: Etretat (18 miles), Honfleur (12 miles) or Deauville et Trouville (25 miles). 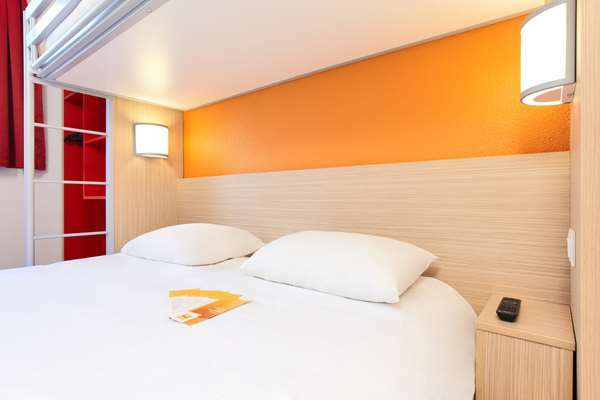 The 86 rooms at this hotel have been designed to combine comfort and functionality. 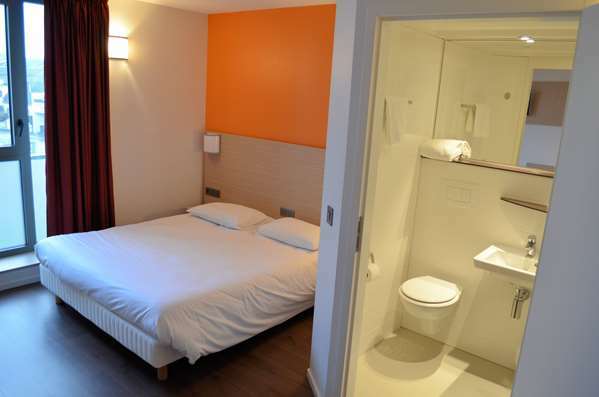 They are all equipped with a storage space, a desk and their own bathroom with shower and toilet. 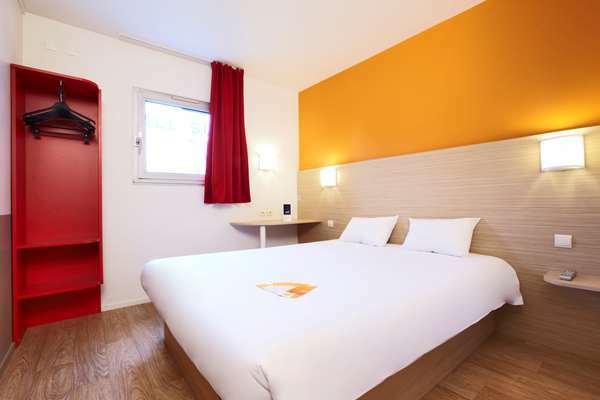 For relaxation and entertainment, watch your favorite programs on your flat-screen TV with Canal+, CanalSat and beIN Sports channels, or enjoy your free Wi-Fi. 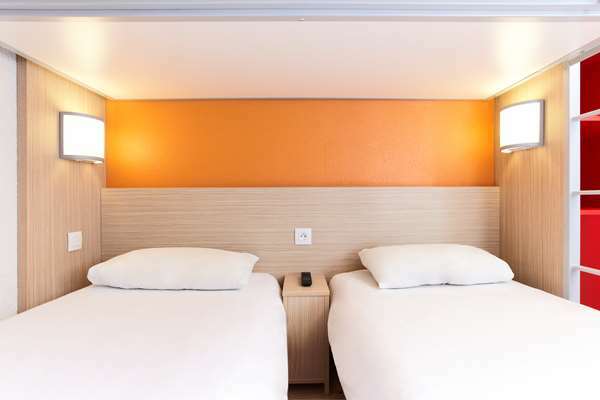 All rooms open for reservation are adapted to your needs: single or double beds are arranged to constitute double, triple and quadruple rooms, or rooms with two separate beds. 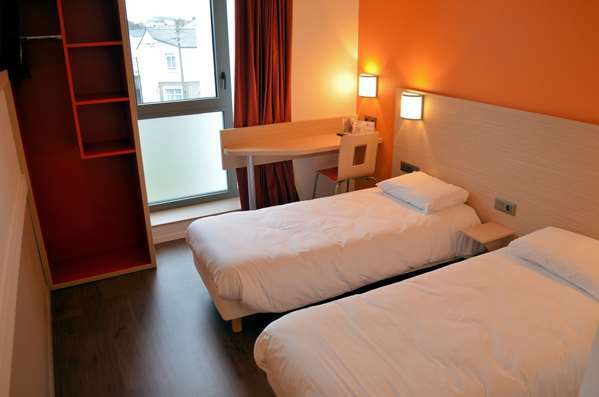 Better yet, the price does not depend on the number of people staying, but only on the number of nights you spend. 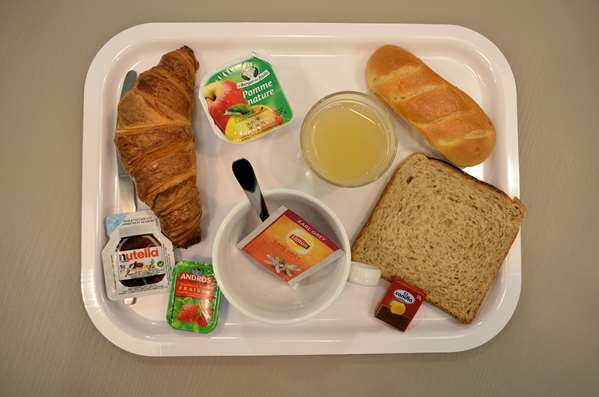 Every morning, start the day off right by enjoying a varied and balanced breakfast buffet at only €5.90 per person (half price for children under age 10). 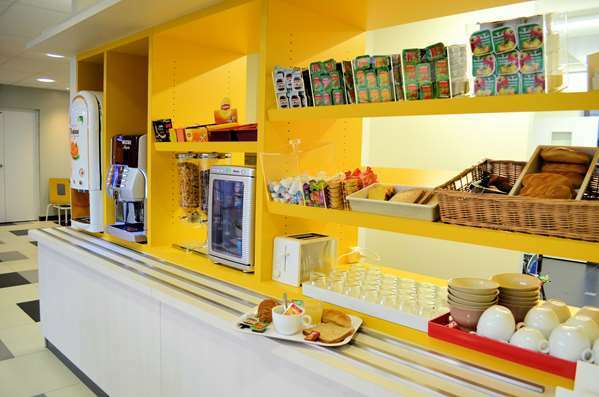 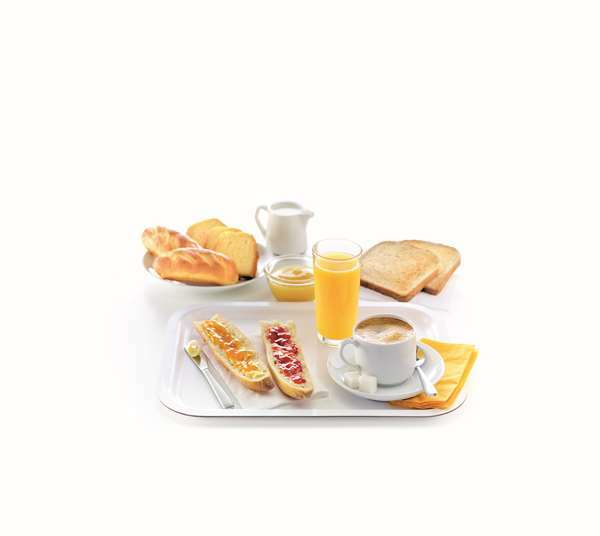 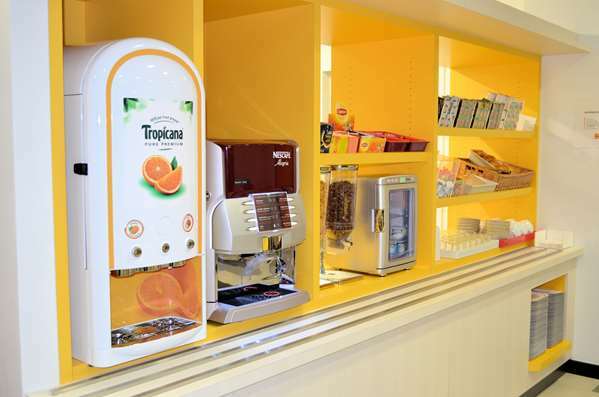 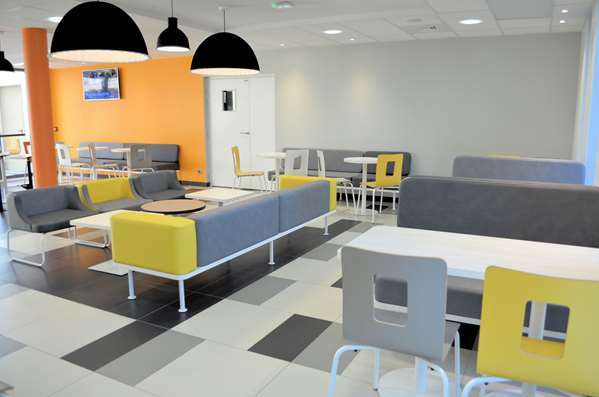 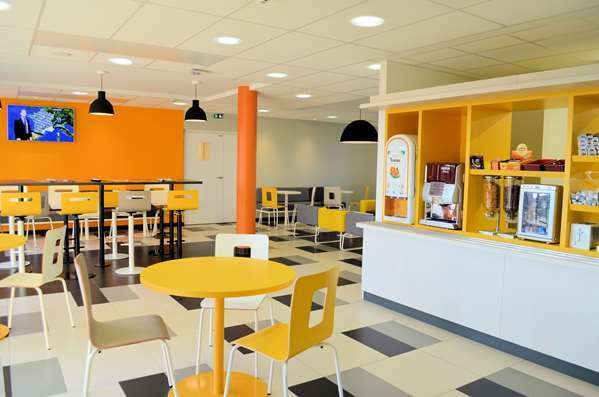 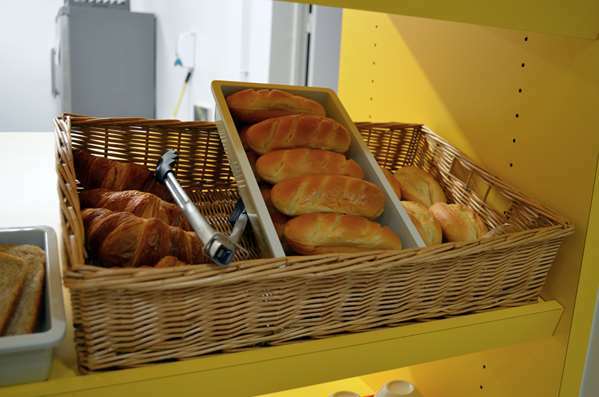 The breakfast includes 100% pure Tropicana orange juice, buns, fresh baguettes, Breton Bars and a wide selection of hot drinks, including espresso. 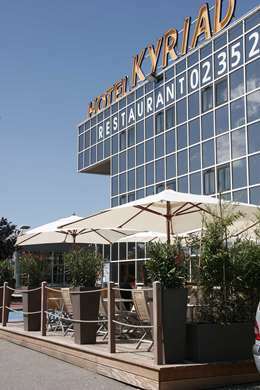 In summer, you will have plenty of time to enjoy our sunny terrace.